Get in the festive mood with a free open air screening of The Muppet Christmas Carol (U) on Sunday 18th December. Head to Bermondsey Square for lots of festive family fun on Sunday 18th December. Starting at noon, there will be Christmas stalls, face painting, arts and crafts, a raffle and Father Christmas. 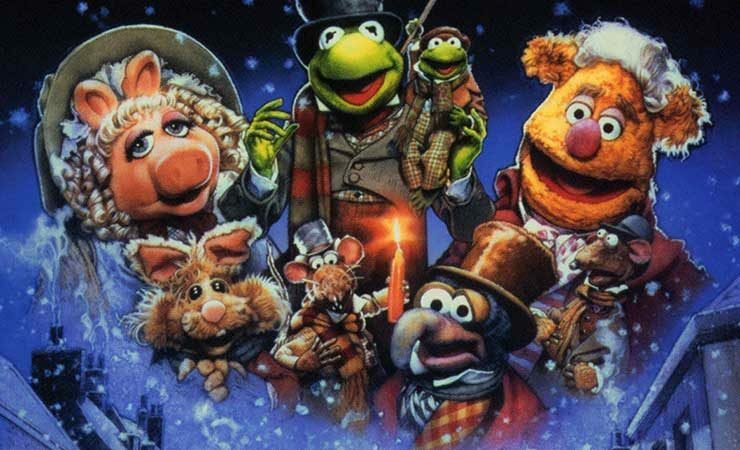 The Muppet Christmas Carol will screen at about 5 pm and the evening will finish at 7 pm. If you are hungry for more, why not head to Bermondsey Square Hotel’s relaxed restaurant or Del’Aziz and enjoy the Christmas atmosphere and great food. The Muppet Christmas Carol is a madcap retelling of the classic Dickens tale of Ebenezer Scrooge, miser extraordinaire. He is held accountable for his dastardly ways during night-time visitations by the Ghosts of Christmas Past, Present, and Future. Staring Miss Piggy, Kermit the Frog, Gonzo and local lad, Sir Michael Cane. We will also be raising money for Evelina London Children’s Hospital Gift Appeal. Evelina London Children’s Hospital is one of only two specialist children’s hospitals in London and is part of Guy’s and St Thomas’ NHS Foundation Trust. Their neonatal unit cares for around 900 babies a year, and has some of the best survival rates in the UK. They cared for over 55,000 young patients last year. Find out more in Evelina London Children’s Hospital’s achievements.